 The Noongar language has appeared in written form for many years. The earliest written records of the language appear to have been made in 1829. People have written the language since European settlement. 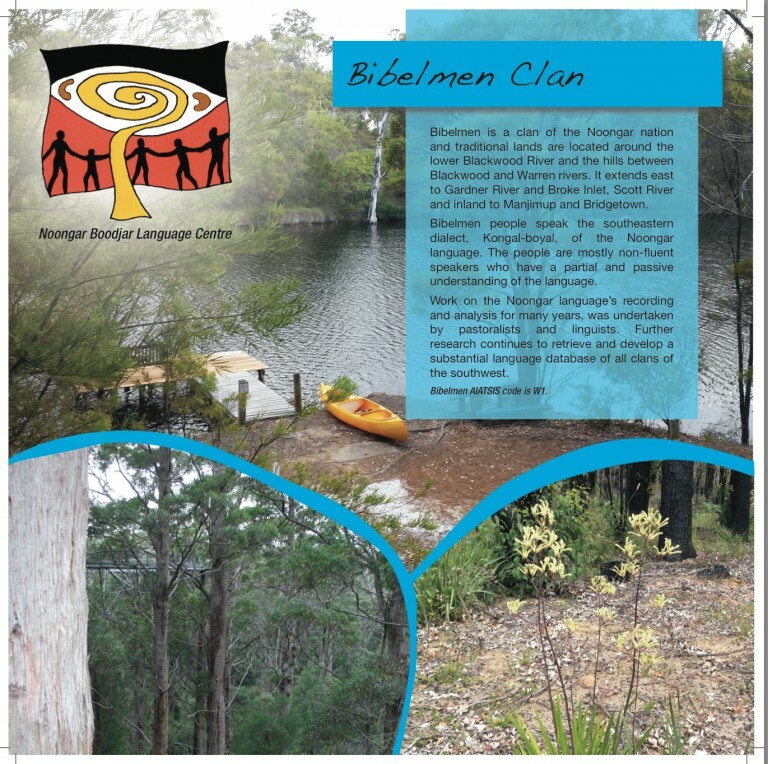 A few linguists recorded Noongar language and sometimes other professionals or European settlers who were interested in Noongar language and culture wrote a few words or lists. This has resulted in many different spellings of the Noongar words and a wide variety of documents recording the language. Note: the dialect regions are an approximation of how the original 14-15 recognised Noongar Clans have been drawn into 3 main dialects. There appear to have been between 3 and 15 dialects of the Noongar language at the time of European settlement. The difference between these dialects is often at a phonemic level. That is, there may be similar words but with one or two sound differences. This has meant that the records of the language from the last 200 years are very varied from place to place. Rose Whitehurst stated that the Noongar language had 12 dialects and other researchers suggest up to 15 Noongar dialects. Sometimes people used clan names for dialects names to ensure readers knew the country and the people their stories belonged to. The work on studying the dialects of the language has yet to be undertaken in a thorough manner. Djiraly: Northern – around Perth and on the coastal plain north to the Moore River and inland to New Norcia and east through to what is now the wheat-belt. Kongal-marawar: South-western – Murray River east to Kojonup and south to Augusta. This dialect has been referred to as the Wardandi Dordenap dialect in previous project publications. This dialect has a number of words ending in ‘er’, e.g. yorker, bilyer, yongker, etc. Kongal-boyal – South-eastern – from Denmark and Albany in the far south, east probably as far as Esperance and Ravensthorpe, and north through what is now the wheat-belt. The south-eastern dialect has longer vowel sounds in some instances and the sounds k and g are interchangeable. The g often occurs as an initial sound as in the English word go. The table below gives some examples or Noongar dialects language variation, Dench 1994. 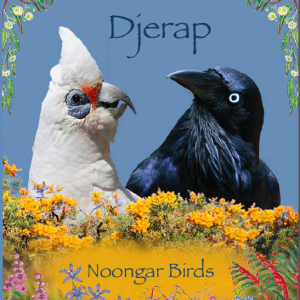 Djerap: Noongar Birds book identifies the names of birds on the Noongar nation in all 3 dialects. Linguists at the NBLC have begun to study the Noongar language in detail, collecting words, phrases and stories from as many speakers as possible. 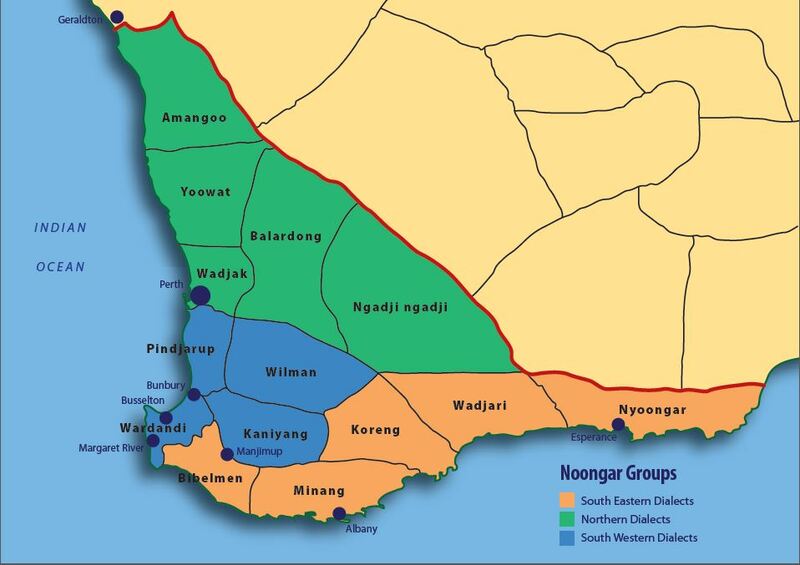 During 2015-16, the linguists will be visiting every town and settlement across the Noongar nation in order to identify speakers and record as much spoken language as possible. The words and phrases collected will be analysed and entered onto specialist linguistic databases in order to record where the words came from, who spoke them and what dialect they appear to be from. Then, when a large number of words have been recorded, analysed and databased, the linguists will have enough material to compare the words over the region and study the dialectical differences and similarities. The linguists can then write academic papers about their findings and make these papers available to Noongar people. The important point here is that as much data as possible needs to be recorded now as many speakers are elderly and there is a great deal of urgency to make sure their language is recorded.